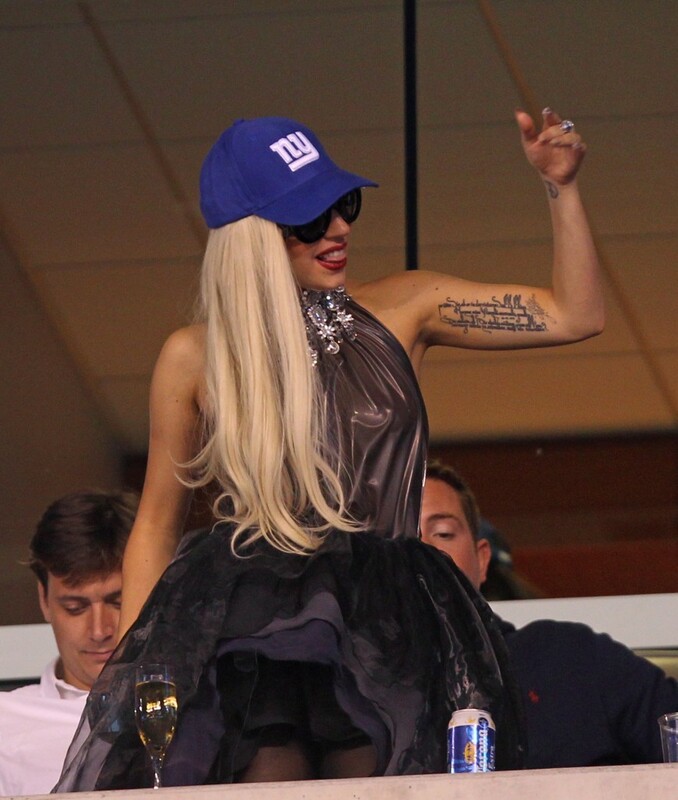 Sorry everyone, I didn’t make a post yesterday because Gaga was at a ball game. She went to the St. Louis Rams VS New York Giants at Metlife stadium. She was in a luxury box during the first 3 quarters. At the beginning of the fourth quarter she was escorted out and to her hotel. One picture that is circulated around the interwebs was a picture of her pouring a very expensive champagne down. Since that is common knowledge that she prefers cheap champagne.